Visionary, perfectionist, dedicated teacher and legendary trainer of orchestras, Celibidache was a conductor who inspired devotion from his audiences and loyalty from his players, whom he would rehearse tirelessly to achieve the results that won him the reputation of being one of the great geniuses of the musical world. Refusing to embrace recording, and basing his career almost exclusively in Germany, he acquired a cult status for the profundity of his musical approach, not least in the symphonies of Bruckner, to which he brought characteristically measured tempos and an unfailing intensity of expression. After his death, several recordings of his concerts were finally released officially. An initiation to the mysteries of orchestra conducting and to the music of Anton Bruckner by Sergiu Celibidache, a conductor who is larger than life. "No, no, no!" That’s how Sergiu Celibidache describes a rehearsal: only “no”, never “yes”. We see him at work in 1991 with “his” Munich Philharmonic Orchestra (he was the musical director from 1979 until his death in 1996), tirelessly rehearsing each measure, each detail of the Adagio of Anton Bruckner's Ninth Symphony. He has conducted this composition at least 2000 times, he claims, he knows it better than anyone else and amazingly works on it without a score: he always knows exactly where each musician is. But that’s not enough, it’s never enough. Celibidache rehearsals Bruckner 9th symphony. 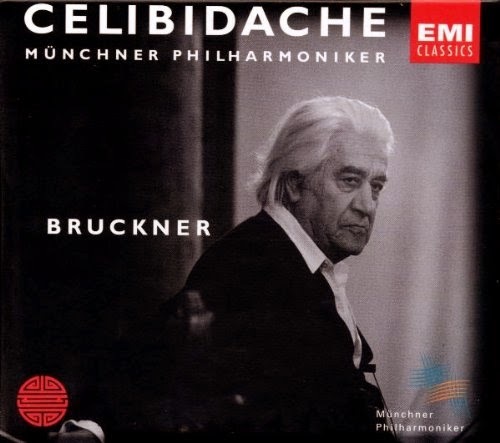 Sergiu Celibidache rehearsed Bruckner's ninth symphony with the Munich Philharmonic for an extended and intense period. Using previously unreleased 16mm footage, the film focuses on the conductor for unusually long sequences, revealing the musical interaction in this tantalizing process of rediscovering a seemingly familiar piece.